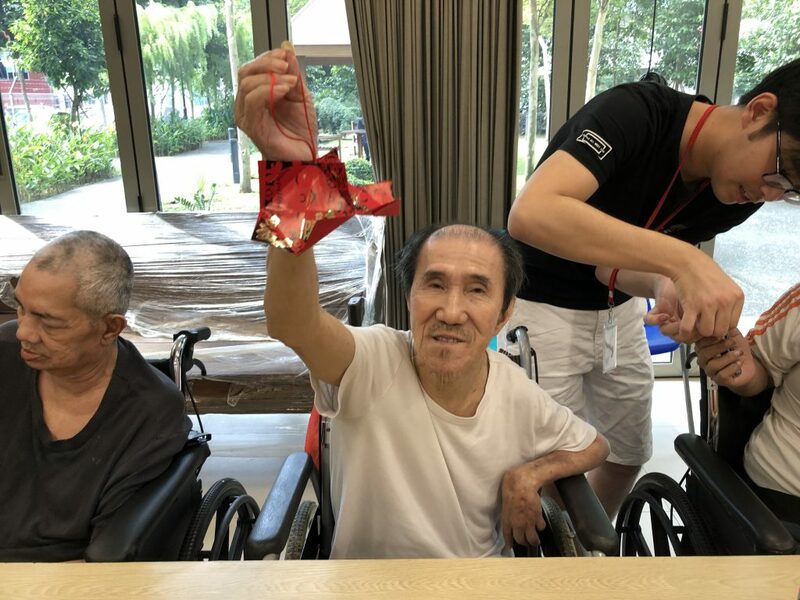 Volunteers from Nex Venture and our own volunteer network group combined their creativity to assist our residents in making Chinese New Year decorations using red packets. 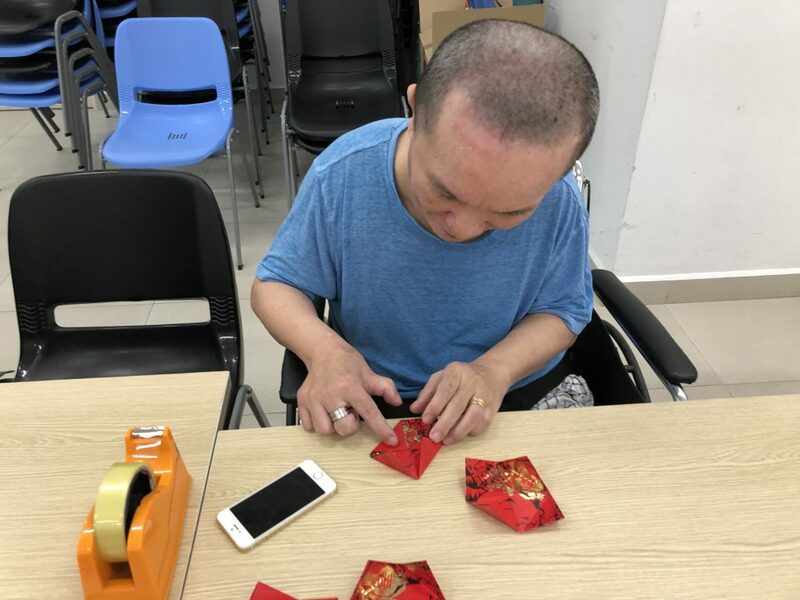 Residents were taught how to fold and staple the red packets provided into lovely Chinese decorative pieces. The residents completed works now decorate their wards. 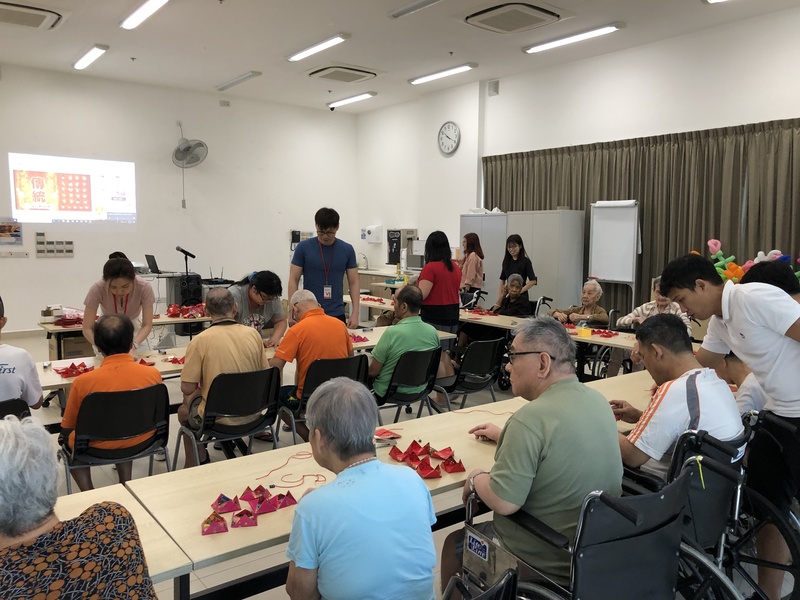 After the sessions, residents joined-in for a karaoke session. Thank you all volunteers and wishing everyone a Happy Chinese New Year.